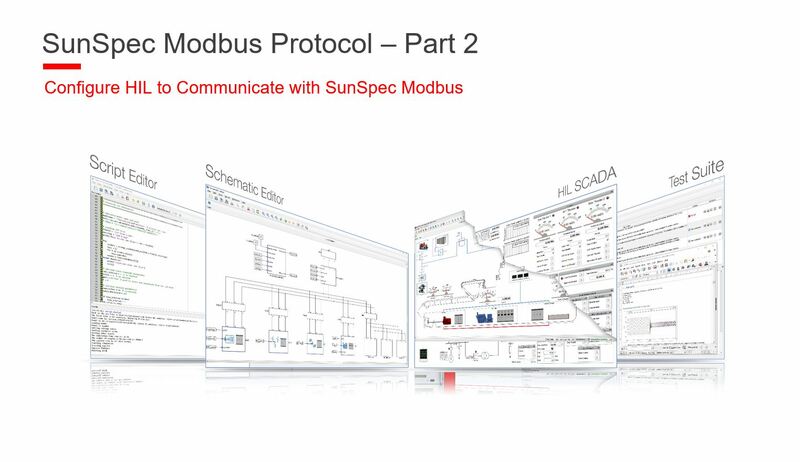 Learn how to configure your HIL device to communicate with SunSpec Modbus protocol. This step by step tutorial will show you how to configure your HIL device with SunSpec Modbus Protocol. Why is SunSpec Modbus important? SunSpec as an organization tries to create standard information models to enable plug and play system interoperability between devices from different vendors. In other words, SunSpec Modbus is a standardized register map scheme that will enable device recognition and supervising without the need to even know the type of the device and the vendor. This is important for California rule 21. This rule mandates new safety features and requirements for advanced grid functionalities for inverters and governs the interconnection between grid and smart inverters.